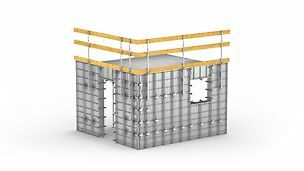 With the girder wall formwork, formwork girders support the formlining while steel profiles serve as walers. 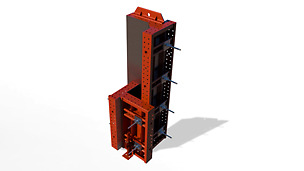 It can be individually adapted to accommodate complex shapes and high loads. 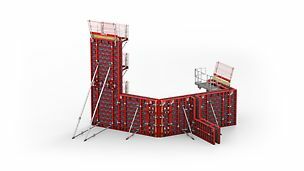 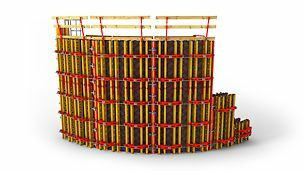 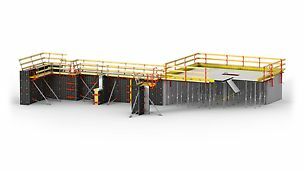 In particular, architectural concrete structures with high requirements for surfaces and anchor patterns can often only be efficiently realized with girder wall formwork. 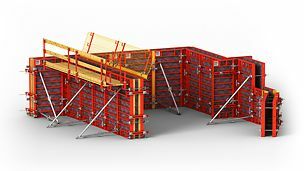 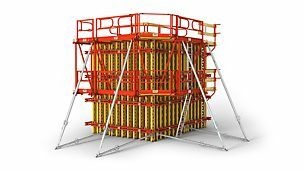 Panel formwork with frames made of steel or aluminium has considerably fewer individual components. 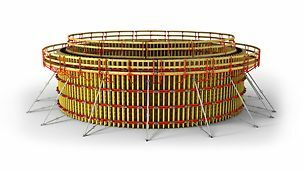 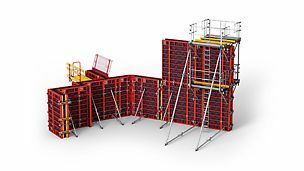 Fixed panel sizes including formlining, system components for connections and wall connections, as well as other site-compliant detailed solutions, facilitate fast forming of large areas. 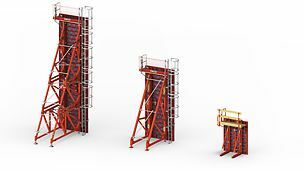 In addition, the possibility to move larger units by crane accelerates formworking operations.